...and I'm not sure what to do with it. 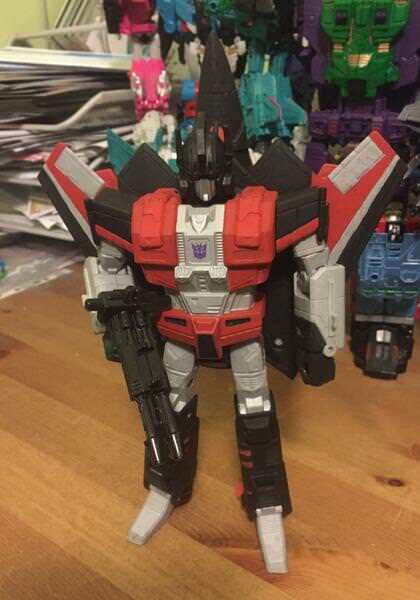 It's a CW Bruticus head on top of a universe Silverbolt I had repainted into Sky Shadow. I'm thinking of making it into a Cyberjet.... anyone got any suggestions? With a lot of work i think that body has the shape of g1 megatron with a b1 or b2 bomber altmode. "I am not a gun. I'm hitting people with a hammer. On Mars." Funnily enough my plan for my other spare silverbolt is to megatronise it. A cyber jet might work, perhaps a skyquake? I like it how it is already though.